I do not subscribe to Easter as a religious experience. I suggest that Christians consider every day as Easter. There is a wealth of power, change, security and love associated with CPR – Christ’s Powerful Resurrection. The fact that He will NEVER have to die on the cross, experience human death and resurrect from it AGAIN is without question. Therefore, CPR² has everything to do with how we experience the daily identification with the one-time event UNSHACKLING US from day to day. We can all agree that we need faith to believe in the death, burial and resurrection of Jesus Christ for the forgiveness of our sins and the gift of eternal life. John 3:16 declares the plan God made to thwart the goal to destroy God’s creation – mankind – through sin. Mankind was and is destined to perish in life and in eternity because of sin. THERE IS NOT ONE RELIGIOUS BELIEF OR ACT MAN CAN DO TO REALIZE A DIFFERENT OUTCOME because religion does NOT save us. Faith is the means by which salvation and eternal life is realized. We were not there to see these events happen. We must have faith in the Word of God, rightly divided, to come to this new beginning. Faith in CPR² is a human experience with unlimited Spiritual benefits. By faith, we come to expect and experience the freedom associated with being “IN CHRIST” as a result of receiving the free gift of salvation and eternal life. It is FREE because there is NOTHING we can do to deserve it. The gift itself epitomizes the grace of God on our behalf. After we receive salvation, we begin to rely on CPR² to realize new life flowing into our Christian walk, talk and manner of life. 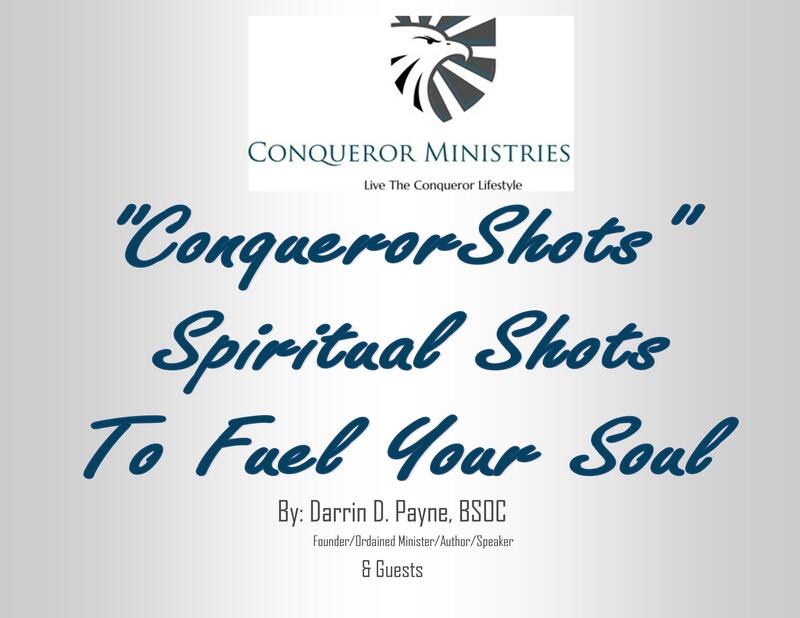 I developed the phrase “Live The Conqueror Lifestyle” to simplify the Spiritually beneficial characteristics of faith in CPR². Why is Christ’s powerful resurrection squared? The answer is quite simple when we read the Pauline epistles and identify with His apostolic call to minister the gospel of the grace of God to Christians in this current age. Sin condemned our spirits from God’s inhabitability. Human spirits are naturally dead because of sin.